As most of you will know by now i am going to be volunteering with Tearfund to try and do my bit to end extreme poverty in the world. I am realistic in that i know its not going to end in one day but i think by going over there and raising awareness of the issue as well, i can do my bit and hopefully the world will finally catch up as well.After all Rome wasn't built in a day right? 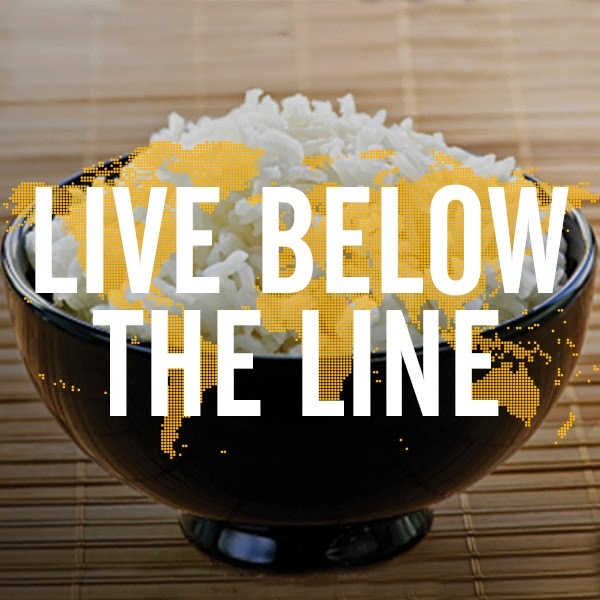 Anywayss the point of the blog today is to share that from Monday the 5th of may till Friday the 9th, i am going to be doing the live below the line challenge to help raise awareness and also fundraise towards my target for Tearfund. I going to be blogging everyday that week as well to share with you my experience and thoughts as well so stay tuned. Now seeing as how i am vegetarian i am a bit wary of what my diet will consist of but thank god for poundland and own brand food right. But it will also mean saying goodbye to my ice soy caramel lattes and my chai tea lattes :'(.